immediately to grow your business! expenses? We'll show you how! world stage like the multi-nationals do. "What are the new basics in business websites?" Create or re-create your website. Learn the freshest ideas in website design. 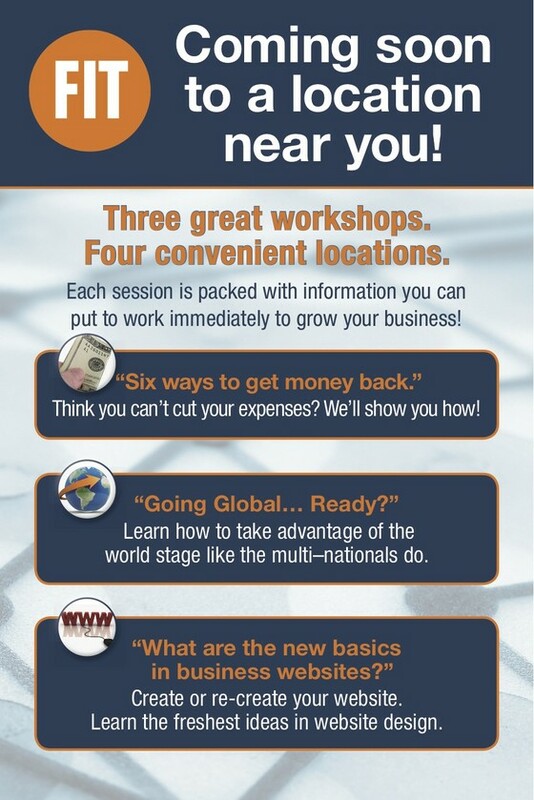 Only $50 per workshop or $100 for all 3! Workshop instructors are Louise Connor, Jennifer Shaheen, and Clare Posnack. Louise is the President of The Showroom, a multi-line sales organization that represents award winning global childrenswear firms. The Showroom provides business develpment, product development and marketing to lines represented. Jennifer is President and Technology Therapist of the Technology Therapy Group, a full service web-design, development and marketing firm. Technology Therapy, specializes in helping small and mid-sized companies leverage social media, technology and online communications to capitalize on current and future marketing objectives. companies access the global market place. This program is made possible by a grant from the State University of New York.